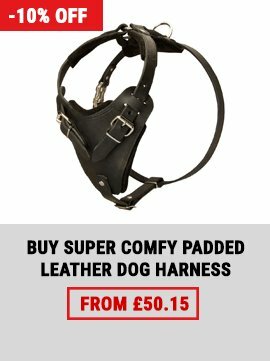 We know how much young dogs love playing with you and how much they are looking forward to start the game. 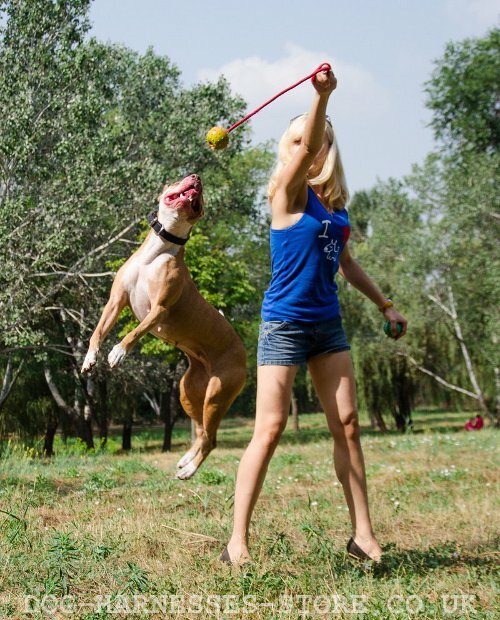 So it is natural that this pastime promotes better understanding between the dog and its owner. We would like to make your games even more exciting! 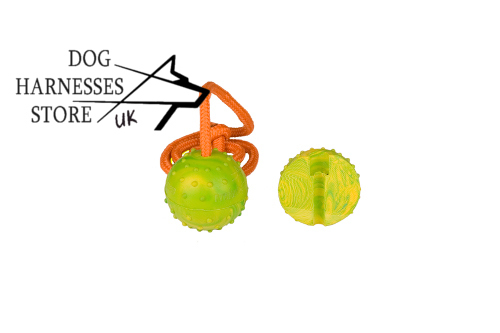 So we offer a new original toy - a solid rubber ball, which has a handle. With the help of the handle, you can control the ball and switch it the way you like. Our solid rubber ball is good both for young animals and for grown-up dogs. 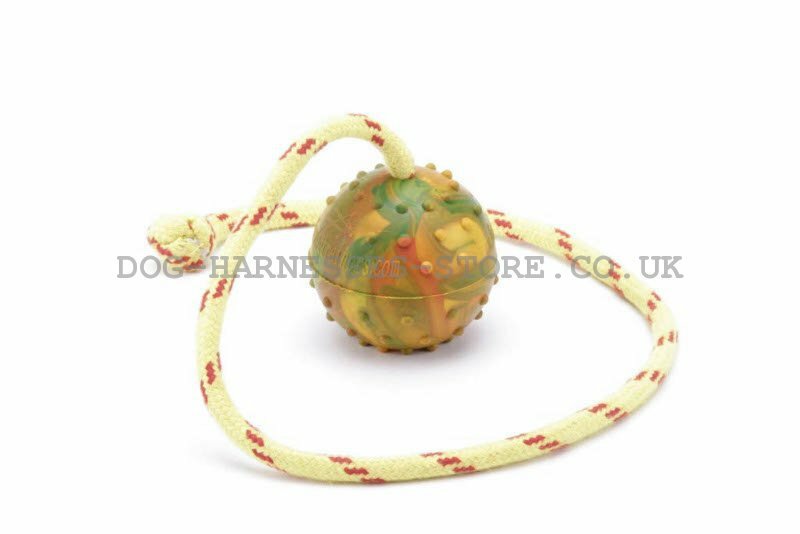 The ball's diameter is 2.3 inches, the handle is 15.7 inch long. 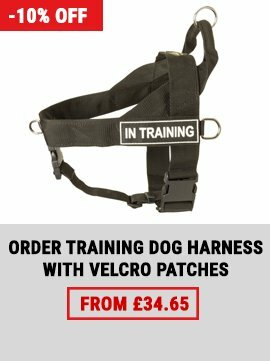 Have a look at our sport harnesses category, if you like to spend time playing with your dog! 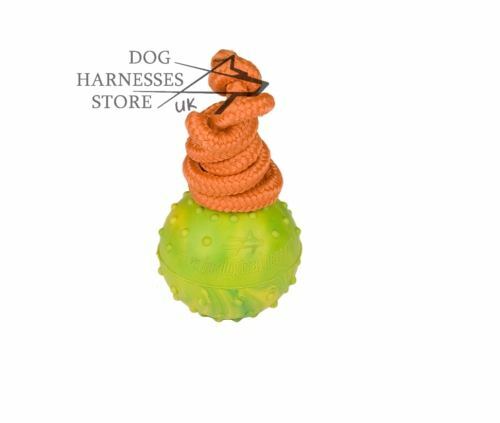 Strong rope with wonderful rubber that has cool Fordogtrainers logos on the ball. Recommend. 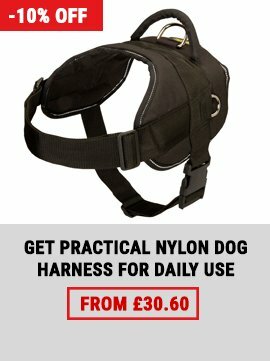 Dear Fordogtrainers, we got your present for our dogs last Sunday. Thank you sincerely. They liked it very much. The ball helps me to encourage their activity. You did really your very best. This is the first time when a company sends a present after purchasing. You are unique!!! With warmest regards from my family and our dogs Kyra, Lord Ivy and Luna. Hug tight. We will send photos soon. Until next time! P.S. We will be glad to get news about your products and offers.